The SAA .45 Peacemaker Revolver is full metal construction handgun by King Arms. 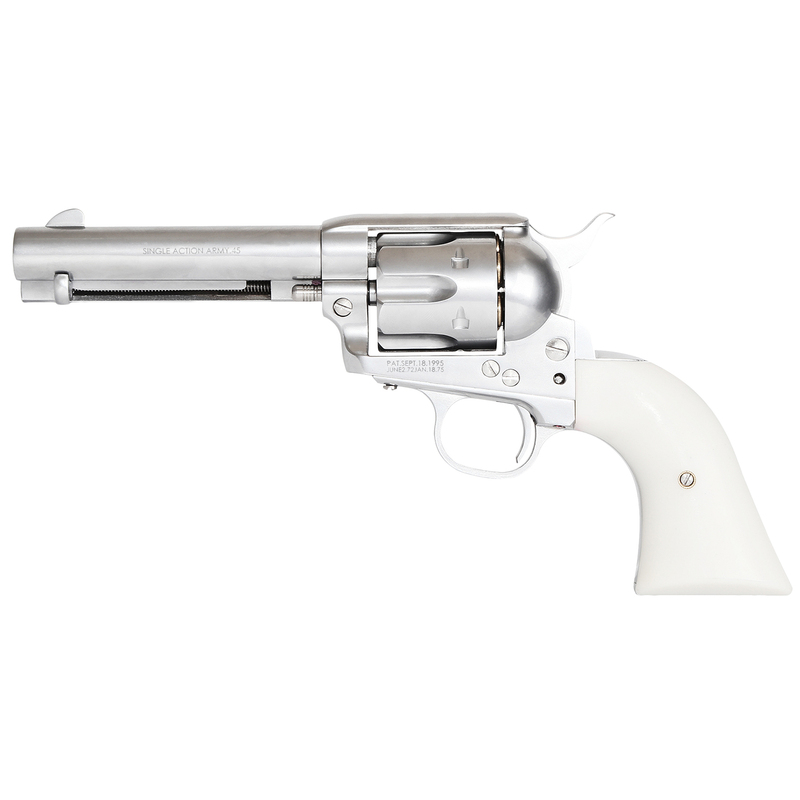 1.Main assembly： - Whole revolver is constructed by metal, it gives a very concrete and rigid feels. 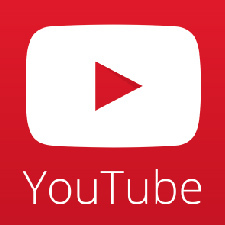 Allows shooter do fast action confidently. - 4 inch and 6 inch barrel length available in both chromate conversion coating and electric darkening treatment surface finishing. 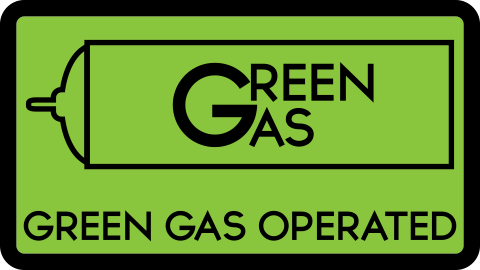 - Accept pressurized green gas as the power source. 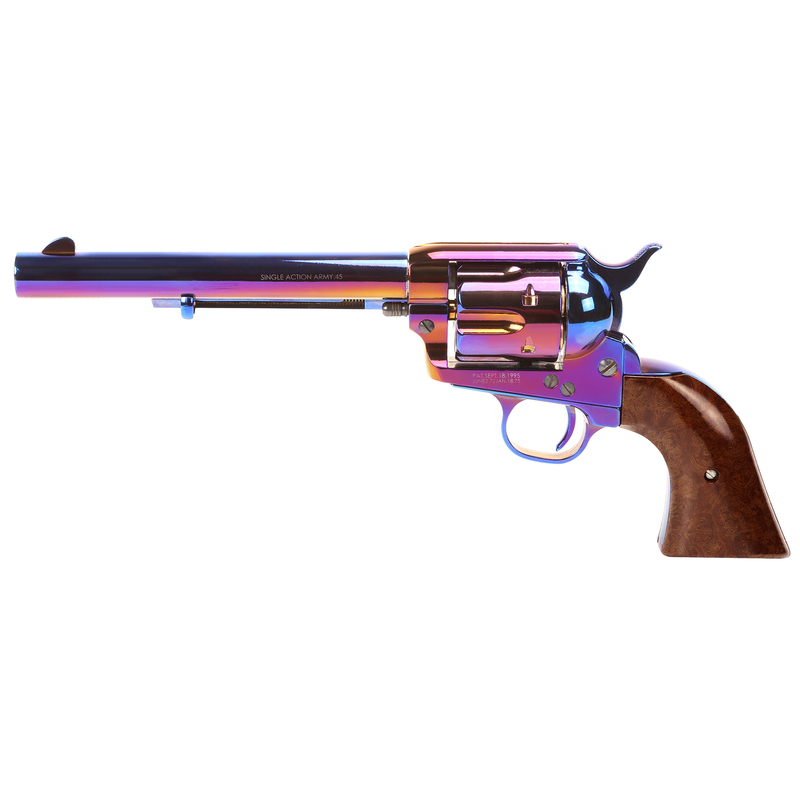 - Details of parts and components makes revolver's outlook much more realistic. Reappear the historic & antique classic. 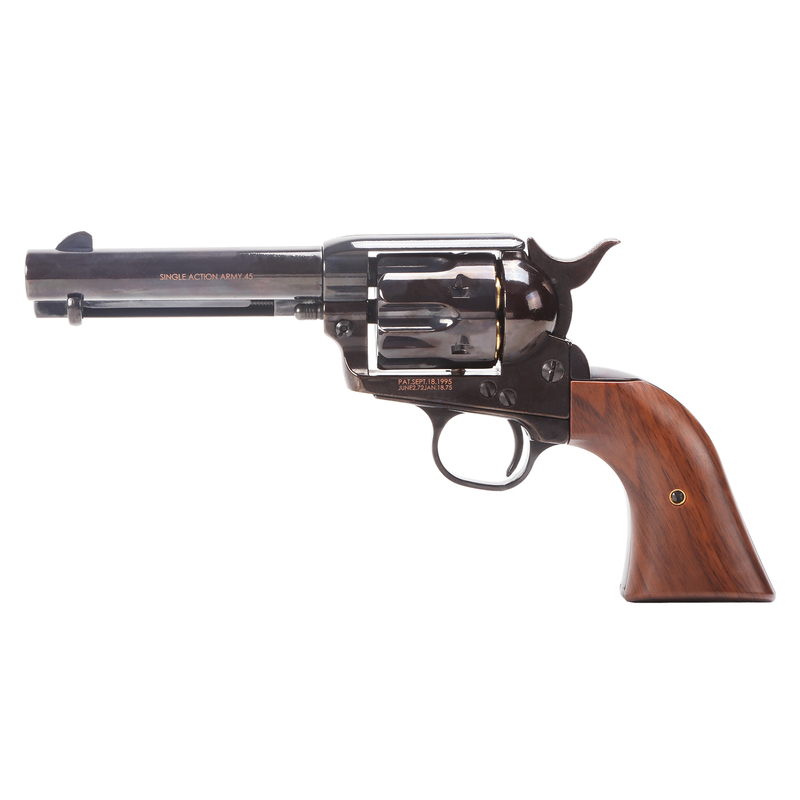 2.Outer & Inner Barrel： - Straight metal outer barrel available in size of 4 inch and 6 inch model at user preference. 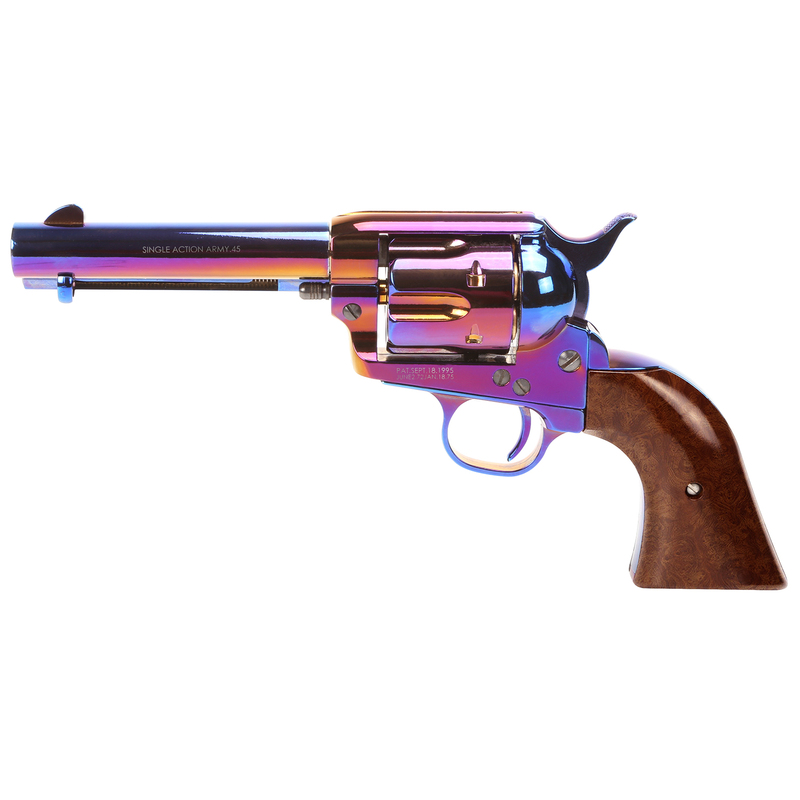 - Rifled-alike barrel make the revolver more realistic. - Smooth and precise brass internal barrel in 6.03mm inner diameter. Makes the shooting trajectory more accuracy. 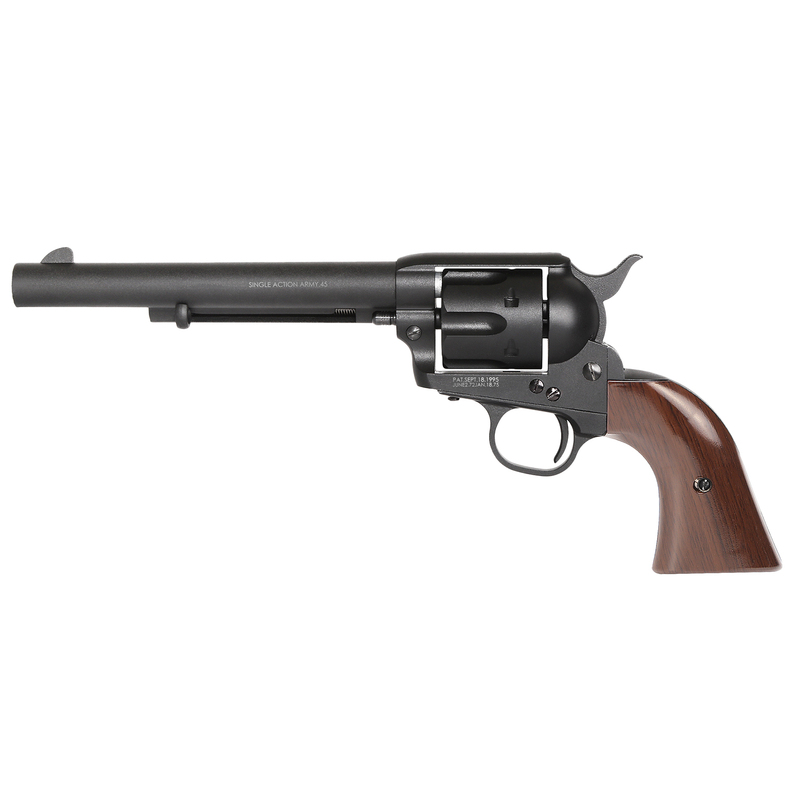 3.Grip： - Ergonomic polymer grip lets the operator grasp tight and control over the revolver. 4.Cylinder： - The metal cylinder bullet inlet can be opened easily in order to reload bullets quickly. - Push the bullets ejector thumbpiece to remove bullets one by one. 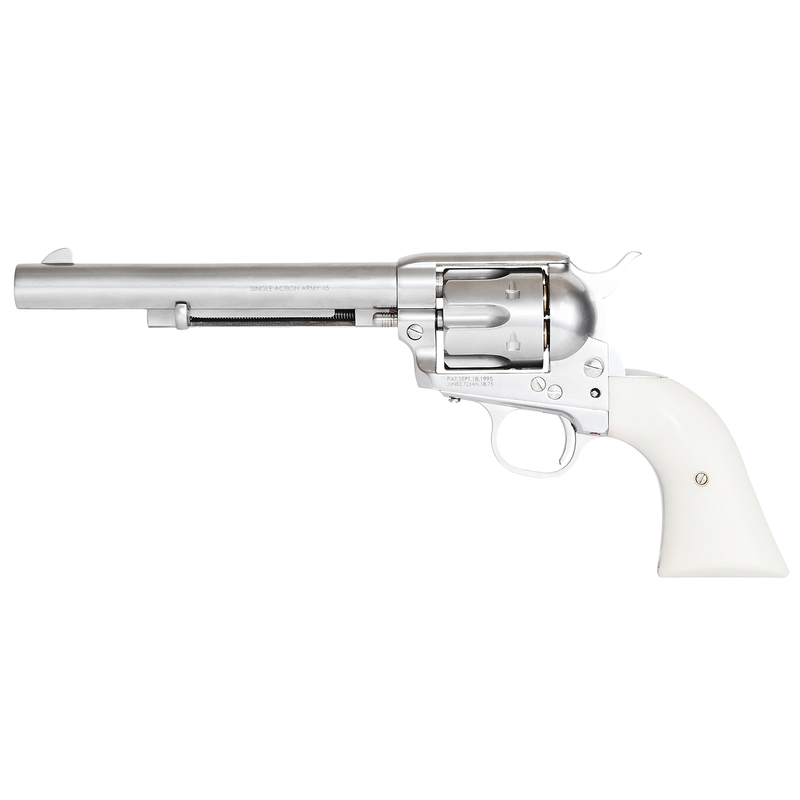 - The cylinder can accept up to 6 bullet shells. - Metal latch precisely stop the cylinder in the correct position. 5.Hammer： - Metal hammer give an assured strike on the gas outlet valve. - Operate in single-action. 6.Sights： - The metal fixed front sight helps shooter to acquire the target. 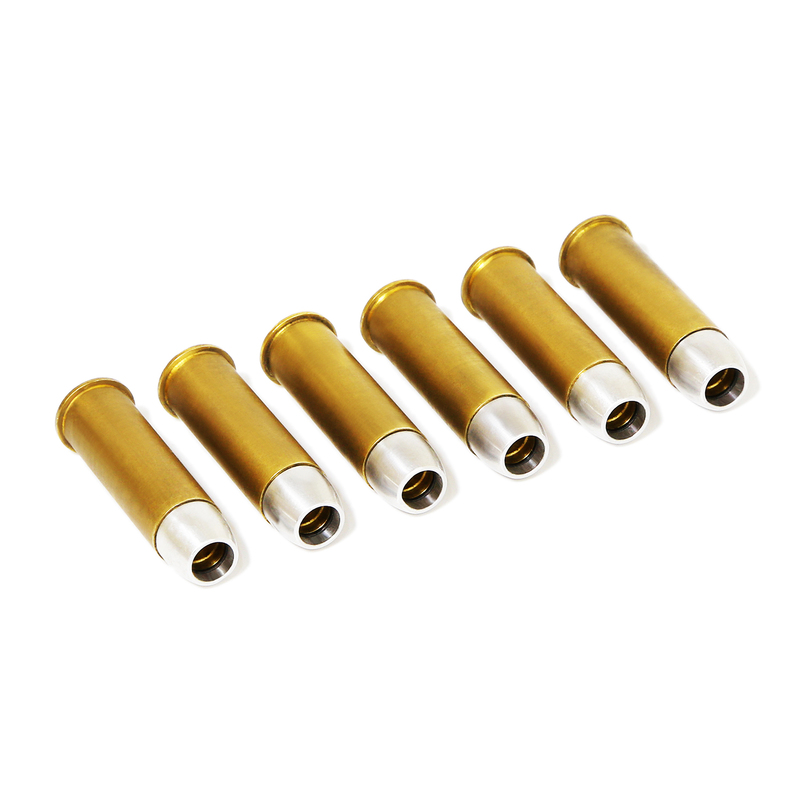 7.Bullets and Loader： - CNC machined heavy brass shells with high compression rubber bb retainers. - Package come with 6 BB bullets shells. Others： - Available in four different models, combined with 2 barrel length and 2 surface finishing to suit your preference.